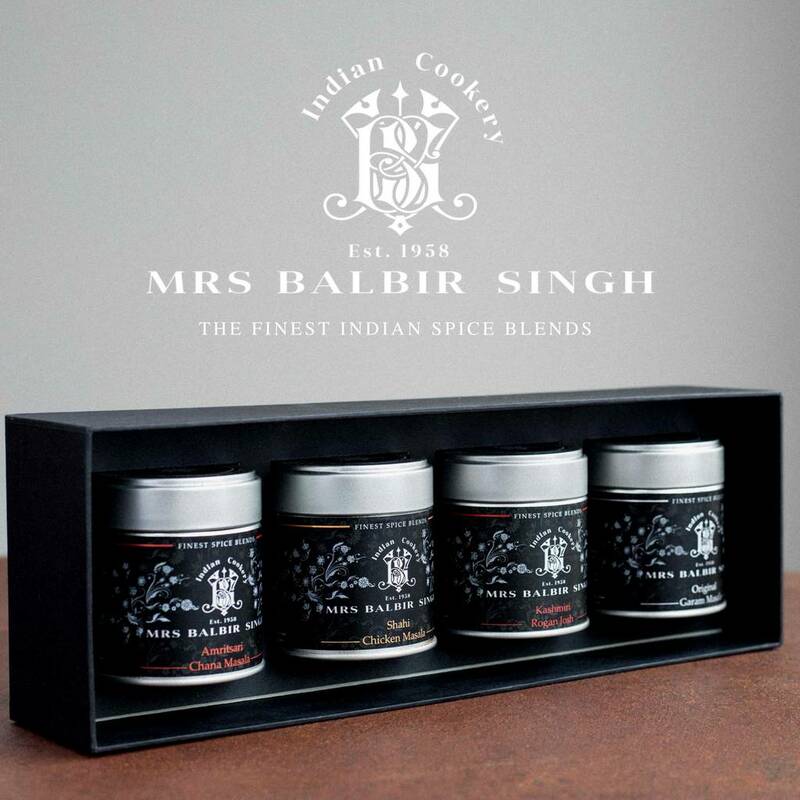 4 gourmet spice blends from the godmother of Indian cookery: Mrs Balbir Singh. 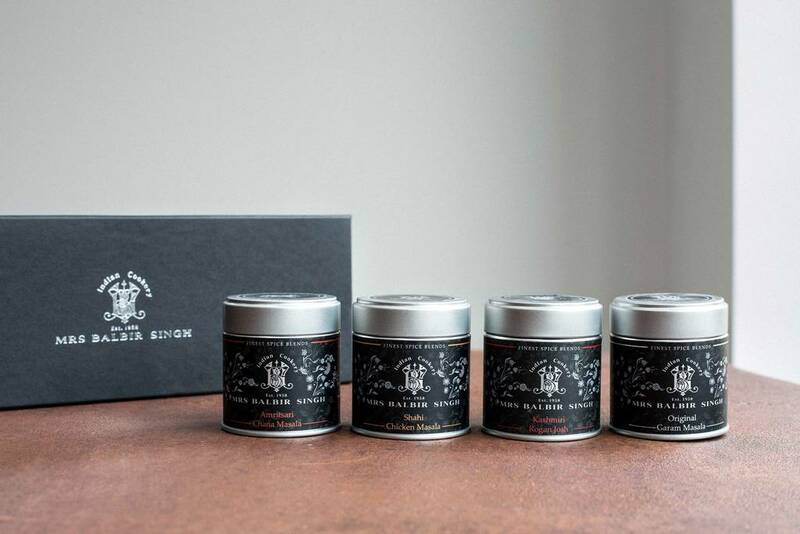 Presented in a foil-stamped giftbox with vintage-style recipe cards. The perfect and thoughtful gift for any foodie or lover of Indian food in your life. Ideal all year round for birthdays, valentine's day, mother's day, father's day, wedding gifts, house warmings or simply just because. The eco-friendly tins in this luxury gift box contain enough spice blend to make each dish 3-5 times for 4-6 people each time. A total of 44-66 servings. Top grade spices which are expertly sourced, fresh-ground, roasted and blended in small artisanal batches. Including an introduction to Mrs Balbir Singh and authentic vintage-style recipe cards. 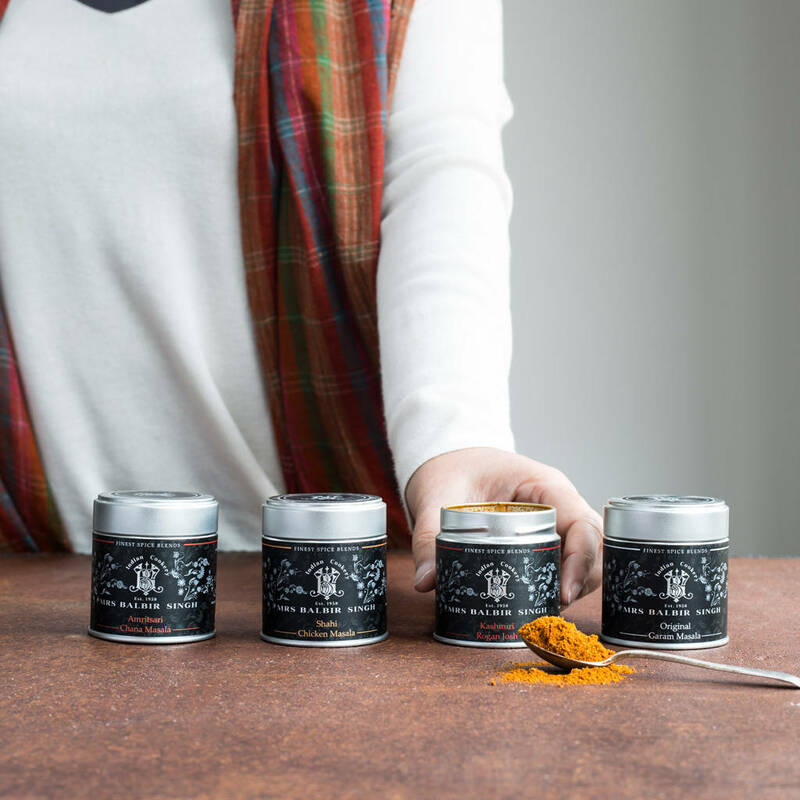 We make our gourmet-all natural spice blends so you can easily cook amazing Indian food at home. You won't have to hunt down, toast, grind and blend the individual spices, as we've done that bit for you. The rest of the ingredients you'll need will likely be in your pantry, fridge or a local supermarket. 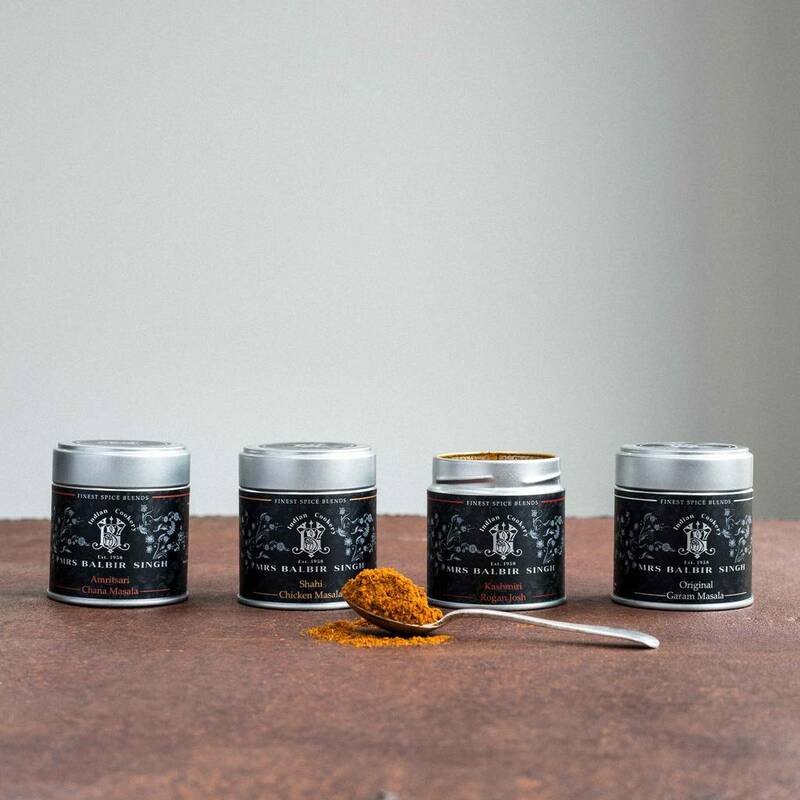 We also include a separate tin of our garam masala to enhance and finish off each dish to perfection. *PLEASE NOTE: Whereas all our spice blends are vegan-friendly and made with gluten-free ingredients, HOWEVER they are manufactured in a facility that handles NUTS and WHEAT. Feel free to experiment with your favourite alternatives for other ingredients. This product is dispatched to you by Mrs Balbir Singh's Indian Cookery.